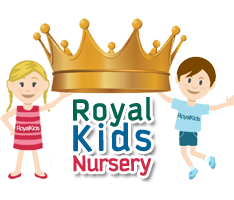 Welcome to Royal Kids Nursery, I hope you enjoy looking around our website and finding out more about what we can offer to your little ones! Our goal is to provide a warm and stimulating, comprehensive learning environment, where children and their family feel secure, valued and confident. We do this by encouraging child-centered, inquiry-based experiences where children feel motivated to discover new skills and knowledge through their own interests and experimentation.Our well qualified staff are here to support and develop your children through their learning experiences journey with the best possible start in life.We work very closely with our parents, as I believe that this partnership is key to ensure the best possible care of your little Angeles. Hence, I always operate an open-door policy and teachers love to chat to parents during drop-off and pick-up times, and also daily through our communication diary.Our aim is to develop children who are happy, confident and eager to learn so that, by the time they leave us, they are fully prepared for “school”.We would love to hear from you, so please fill out the contact form, call or email us with any questions or queries you may have!